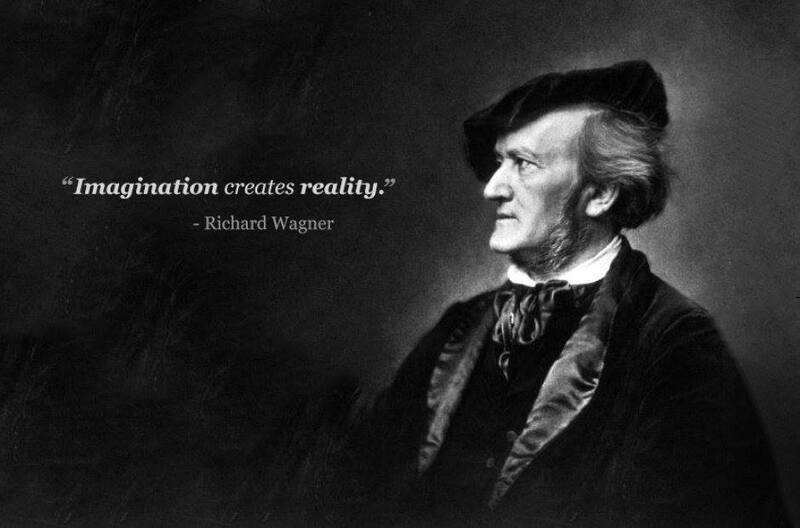 Richard Wagner [REE-card VAAG-ner] was a German composer, theatre director and conductor. He was famous for writing many complex operas, one of which was 18 hours long! Richard Wagner was born to an ethnic German family in Leipzig, where his family lived at No. 3, the Brühl in the Jewish quarter. He was the ninth child of Carl Friedrich Wagner, a clerk in the Leipzig police service, and of his wife Johanna Rosine. Today’s Listening Example is from the opera Lohengrin [LOW-in-grin]. The character Lohengrin is a mysterious knight in shining armor who arrives in a boat drawn by a magical swan. He fights a battle to save Elsa, the daughter of a duke, and Elsa and Lohengrin marry. The most well-known part of the opera is “The Bridal Chorus”, better known as “Here comes the Bride”. This music is often played as wedding processional. As you listen today, notice whether the music is loud and exciting or quiet and calm. Perceive and analyze artistic work, focusing on personal responses to music. R.7.K.2.-4.2, R.7.K.3.-4.3. Relate artistic works with societal, cultural and historical context to deepen understanding. CN.11.K.1.-4.1. Compare and contrast personal responses to music from two or more pieces of music. R.7.5.3-6.3. Identify complex connections among music and other fine arts. CN.11.5.1.-6.1. Richard Wagner was a larger than life figure, and his innovations as a composer changed Western music forever. To this day, there is no in between for people concerning Wagner. They either love him or they hate him. The people who love Wagner, and his music, are often referred to as Wagnerheads. They take trips to Europe, known as a pilgrimage, to walk the streets Wagner once walked. 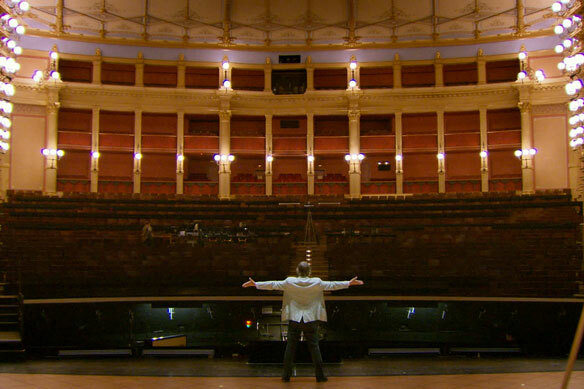 The highlight of their trip is to Wagner’s theater in Bayreuth. As a boy, King Ludwig II, of Bavaria, was introduced to Wagner’s "Lohengrin". From that time on, Ludwig was enthralled by all of Wagner’s works and the man himself. 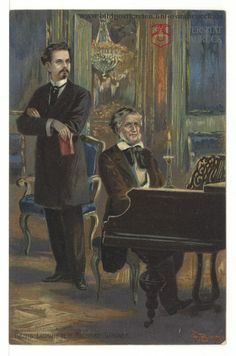 When Ludwig became king in 1864, one of his first acts as king was to summon Richard Wagner to be his guest at Hohenschwangau Castle, Ludwig’s boyhood home. It was within the walls of his own home and grounds that Ludwig was able to act out scenes of his favorite Wagner works, sometimes having costumes designed specifically for his use in these fanciful acting-out sessions. 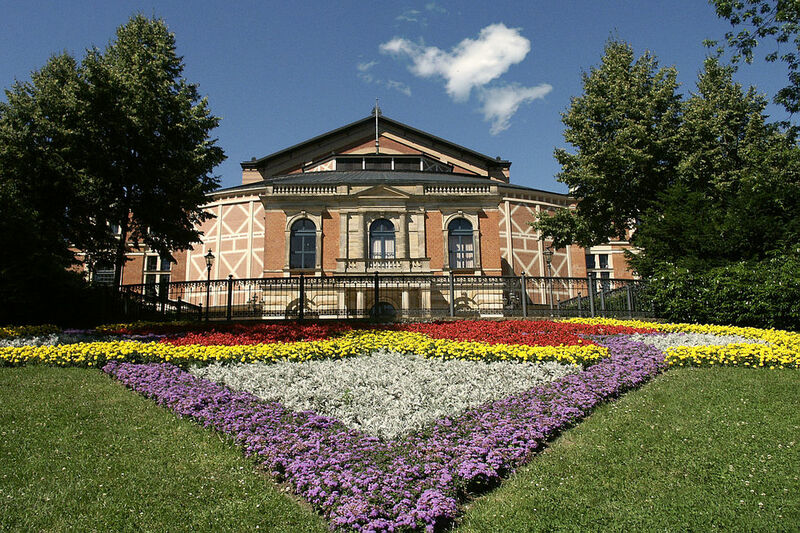 agner had spent a lot more money than he had to spend, so Ludwig promised to pay all his debts and then, funded the construction of Wagner’s theatre in Bayreuth. Wagner’s theatre was built to make sure that the sound of the music could be heard clearly from every seat in the house. It was ornate on the outside, but the inside was plain and simple. The seats are arranged in a single, steeply-shaped wedge that allows every seat a complete and uninterrupted view of the stage. Unlike other opera houses of the time, the orchestra was hidden from the audience. Today’s listening example is one of Wagner’s most famous pieces. You can hear it in many movies, cartoons and commercials, even today. The "Ride of the Valkyries" refers to the beginning of act 3 of Die Walküre, the second of the four operas that make up Wagner’s “Ring Cyle”. This 18 hour opera that was meant to be heard over 4 consecutive days, is drawn from Norse Mythology, Germanic folk poetry, and his own head. He creates an entire universe, from the formation of the world to its fiery end. 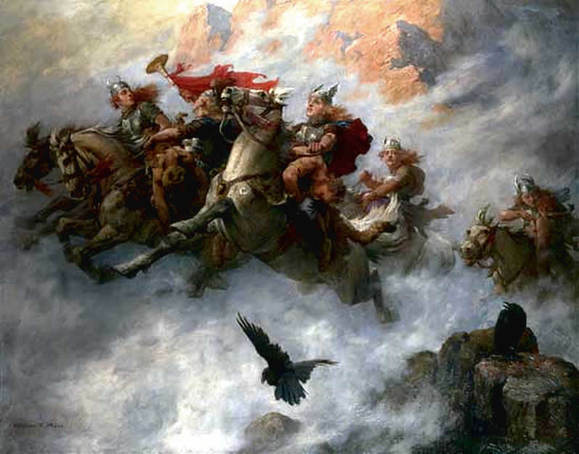 The Valkyrie, according to Norse Mythology, are women who ride on winged horses and take the fallen heroes to Valhalla (a place kind of like heaven for heroes). Brunnhilde is the leader of the pack and is often portrayed as a viking, wearing a horned helmet, which is why opera singing women are usually pictured wearing a horned viking helmet and long braided pigtails. Wagner used two leitmotifs to represent the Valkyries. The first one is at the beginning of the music, when instruments play a sustained trill to represent the speed of galloping horses. The second one is a heroic brass fanfare for the women carrying out their rescue mission. Richard Wagner was a master of many artistic skills. Not only did he compose music, but he wrote the words to the operas he wrote. He often designed the sets and costumes for his operas. He even wrote many essays on his ideas of art, music and politics. Wagner wrote at least two essays about Gesamtkunstwerk (gezamt-koonst-work) which means “total work of art”. He felt that art, music, dance and poetry should all work together in perfect harmony to create a true masterpiece. He carried this idea into his operas. Wagner’s opera, “Tristan and Isolde” is a good example of what he meant with….that word. It is a total work of art. This opera takes place after the fall of the Roman Empire. English orphan Tristan meets and falls in love with Irish princess Isolde, however she is set to marry Lord Marke, who raised Tristan. While unaware of her identity, he has won her hand in marriage for his lord and future king of the two countries, but now the passion of the two young people causes a rift leading to a devastating battle. Today's listening example is the prelude to Act 1 of his opera, Tristan and Isolde. The way Wagner used notes and groups of notes called chords was his way of representing the journey of a romantic relationship between Tristan and Isolde. They always want to be together, but they never quite make it. When you hear the music, it will make you feel as if it never quite ends. It never finishes. In fact, Wagner wrote it so that you never hear the final chord until the final note of the entire 5 hour opera! Earlier, we learned about King Ludwig and how much he loved Wagner, as well as his music. Fast forward a few decades, and we will meet someone else who loved Wagner just as much, only this famous historical person is much more sinister than crazy King Ludwig. As we learned on Tuesday, Wagner was born in the Jewish quarter in Leipzig; however, he was not Jewish. He thought his father was, and he held a lot of anger because his father died when he was so young. Many music historians believe that, for that reason, Wagner wrote a lot of anti-Jewish, or anti-Semitic, messages in his music. What famous leader do you think was attracted to messages like that? Adolf Hitler! Of course! 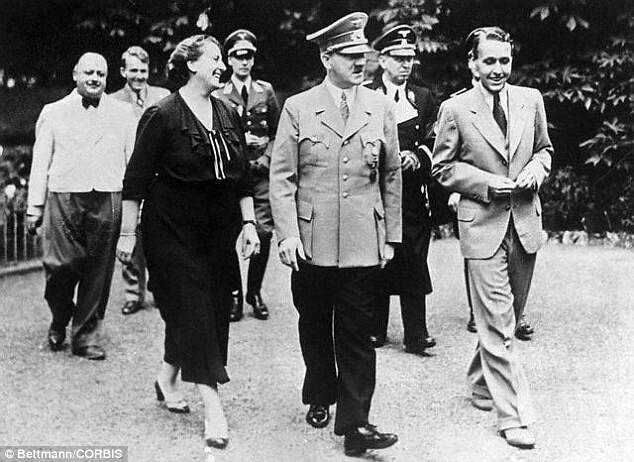 In 1936, Hitler attended a grand production of Wagner’s Lohengrin at Bayreuth and was bowled over by it. It’s even rumored that Hitler ordered Wagner’s music be played through the loud speakers throughout Dachau, a concentration camp, to try to retrain the Jewish people’s brains. Hitler was such a fan that he sought out Wagner’s family, made friends with them and even made the Wagner estate, Wahnfried, his second home. Today’s listening example is “Prelude to Die Meistersinger” from Wagner’s opera Die Meistersinger von Nurnberg. This opera was set in Nurnberg. It is the only Wagner opera based on an entirely original story, devised by Wagner himself, and in which no supernatural or magical powers or events are in evidence. It is also one of the only comedies Wagner ever wrote.